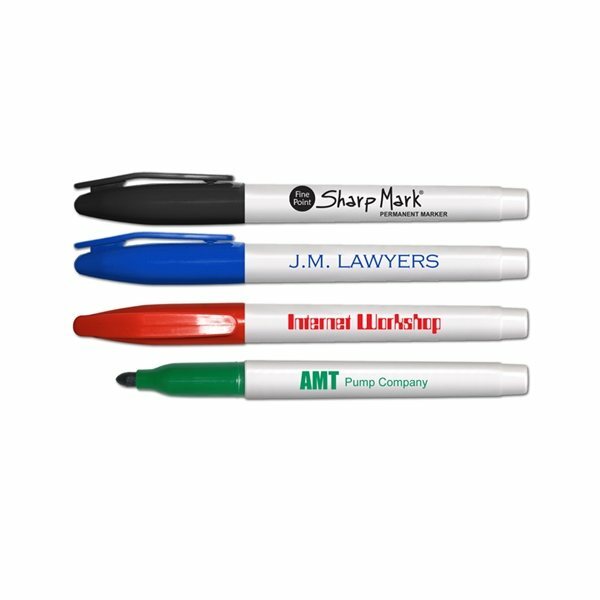 The Sharp Mark® permanent marker combines the popular size barrel and pocket clip with a fine point that gets the job done without busting the budget. 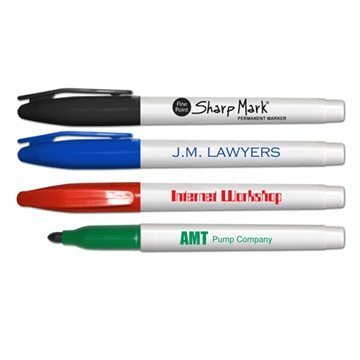 Low odor, water resistant ink permanently marks on most surfaces such as coated paper, foil, metal, photos, glass, wood, cardboard and plastic. It's also great for industrial use! Color of cap matches ink color. Elegant look that was well received by recipients at our conference. Loved them! Decent size, not too large, not too small! Customers and friends really love this. Quality delivered. Thanks We have now placed another order for more but it's on backorder at the present time. We were very pleased with the quality of the product and with the quality of the imprinted logo. Prices are reasonable, embroidery services are top-notch, sales support and customer service is exceptional and I would highly recommend anyone shopping for shirts in bulk to order from AnyPromo.com. You get what you see.